Hundreds die each year in all-terrain vehicle (ATV) crashes on public roads. Unfortunately, more states, counties, and cities are increasing the risk to public health by permitting on-the-road use. ATVs are made for off-road use. Although many ATVs can reach highway speeds, their low-pressure tires are not designed for road use. The dangers of using ATVs on the road are communicated by warnings on the machines, from the vehicle manufacturers, and from the consumer and public health community. Nonetheless, large numbers of people take their ATVs on public roads, despite the dangers. The Consumer Product Safety Commission (CPSC) conducts a yearly analysis of ATV rider deaths, including deaths on public roads, private roads, and off-road.2 Between 1986 and 1998, ATV deaths averaged 227 a year, but then increased to more than 800 in 2007. In 2007, 65% of the deaths for which a location was identified took place on public or private roads. The Consumer Federation of America (CFA) documented last year that an increasing number of states and localities are passing laws and ordinances allowing ATVs to legally operate on public roads.3 CFA found that, despite warnings that ATVs are unsafe on public roads from ATV manufactures, federal agencies, and consumer and safety advocates, for several years an increasing number of states have passed laws allowing ATVs on roads. Since 2004, 22 states have passed laws increasing ATV access to public roads; four states passed such legislation in 2013 alone. These laws lead to consumer confusion about what constitutes safe riding practices. Local health departments can promote ATV safety in several ways, such as conducting educational outreach and raising awareness about the dangers of ATV use on roads. They can also promote helmet use, advocate for policies such as graduated licensing requirements for ATV drivers (see NACCHO’s policy statement on graduated drivers licensing), and support local legislation to prohibit ATV use on roads. CFA has organized a national coalition of public health researchers and consumer advocates to oppose the on-road use of ATVs. As local health departments learn of legislative efforts to allow on-road use, they can alert CFA so that its coalition can provide information about the risk of on-road use. *Alert CFA of pending legislation to allow ATVs on the road by e-mailing Rachel Weintraub at rweintraub@consumerfed.org or Michael Best at mbest@consumerfed.org. Williams, A. F., Oesch, S. L., McCartt, A. T., Teoh, E. R., & Sims, L. B. (September 2014). On-road all-terrain vehicle fatalities in the United States. Journal of Safety Research, 50, 117-123. Stephen Oesch is a retired an attorney with more than 40 years of experience in highway and vehicle safety issues. He has worked with the Insurance Institute for Highway Safety, the National Highway Traffic Safety Administration, and the Center for Auto Safety. He received his B.A. from The College of Wooster and his JD from the Georgetown University Law Center. Want to hear more about ATV safety? 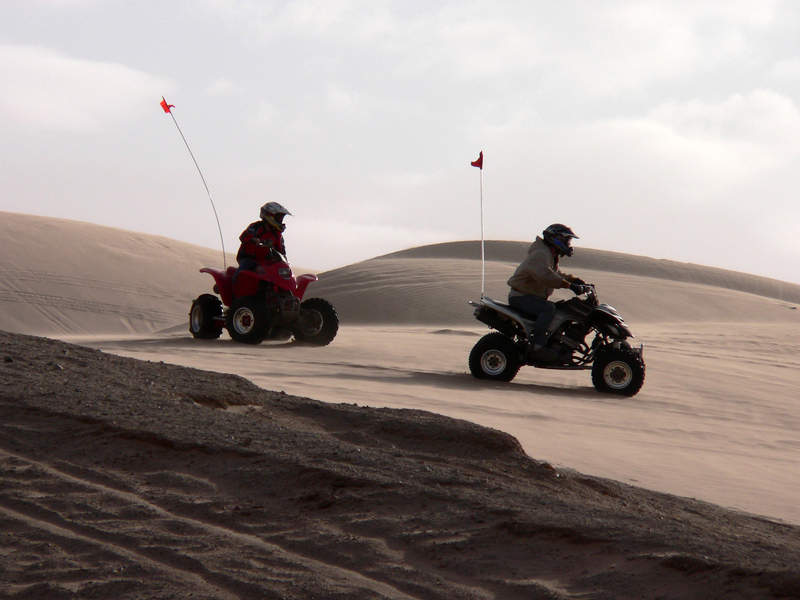 NACCHO recently released a podcast about emerging safety issues associated with ATVs. Listen at http://www.naccho.org/podcast-new.cfm. You can also subscribe to NACCHO’s podcast series on iTunes. If you have iTunes or an iPhone, download the podcast app and search “NACCHO.” Once you subscribe, the latest NACCHO Podcasts will automatically download to your phone. This entry was posted in injury and violence prevention on March 17, 2015 by nacchovoice.